Simon is second from right, on the front row. Spring 2017 will mark the 70th Anniversary of my successful audition to join Salisbury Cathedral Choir. Despite the fact that from a very young age I had always wanted to be a chorister, I approached the audition somewhat nervously, as a few days before I had been unsuccessful at St Paul’s Cathedral in London. Sir Walter Alcock had been organist and Master of the Choristers for 30 years, but my audition took place with the assistant organist at the time, Reginald Moore as Sir Walter was very ill. He died in the summer. This opened the door, unknown to me at my audition, to what was to become three years of opportunity, an excellent musical education and fantastic comradeship amongst the 16 choristers, now to be under the guidance of David Willcocks. He had been appointed in the summer, his first duty being to play for Sir Walter’s funeral. At 27 he already had a considerable reputation from Kings College Cambridge both as organist and choir trainer. He now had to educate a choir of 6 men and 16 boys steeped only in Victorian and turn of the century composers like Stanford, Ireland and Stainer. I had sung in our local church choir mostly tunes and chants from the English Hymnal and Parish Psalter. I, like the rest of the cathedral choir was ready for some new experiences. We certainly had them. David Willcocks was a very hard, but fair taskmaster keen to make his mark on a willing audience. 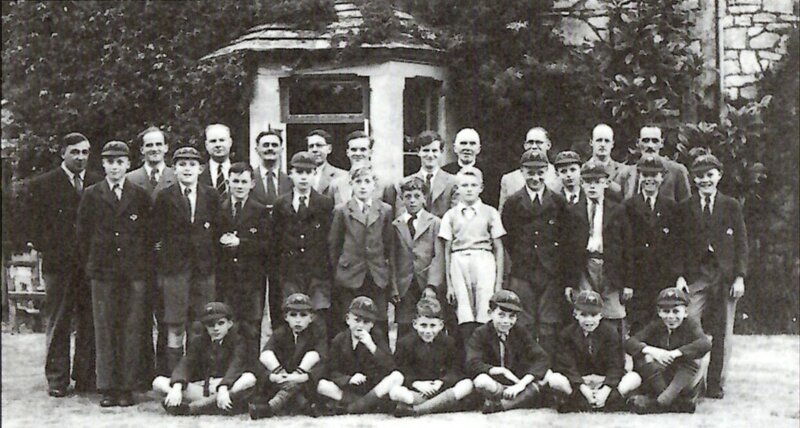 We had a daily boys' practice in the Song Room behind the organist’s house in the Close at 8.15am. We then sung Matins and Evensong every day except Wednesday. Twice a week Evensong was followed by a full choir practice often observed by tourists. With three services every Sunday we therefore sung thirteen services every week. In addition we remained at school to cover Christmas and Easter and in the summer we stayed until the first weekend in August to sing at the Old Choristers Festival. David Willcocks re-pointed the Parish Psalter in order to make us sing psalms properly and the music began to change and modernise. Benjamin Britten’s Te Deum, Brahms How lovely are thy dwellings, Francis Jackson's Evening Canticles in G and music by Palestrina, Victoria and Maurice Greene entered our repertoire. This allowed him to concentrate on the three essentials of Intonation, Diction and Blend. Lessons I have never forgotten! To recall some words from one of my fellow choristers* “the result was we cared and we tried, realising that we had a very special person committed to us, someone who was spending time with us explaining what he wanted and how best to achieve it”. For me the whole experience was exciting, scary and at times confusing but immensely rewarding. I must also mention the Assistant Organist, Ronald Tickner, who became my piano teacher and encouraged me to take up the organ. Later he became well known locally at St Mary’s Taunton. He fully supported David Willcocks and was a constant source of our enjoyment not only of the music but also of cricket and other sports. David Willcocks could show his displeasure when things went wrong but he also had a friendly side. He had a lovely wife, Rachel, who all the boys fell in love with. He gave excellent parties at Christmas time and fully entered into the spirit of things on our summer trips. All this and he had received a Military Cross for bravery in the war. Overall, those first three years at Salisbury have left me with an indelible memory of a wonderful grounding in music from a master musician. My final two years were further enhanced by Douglas Guest, another fine choir trainer. 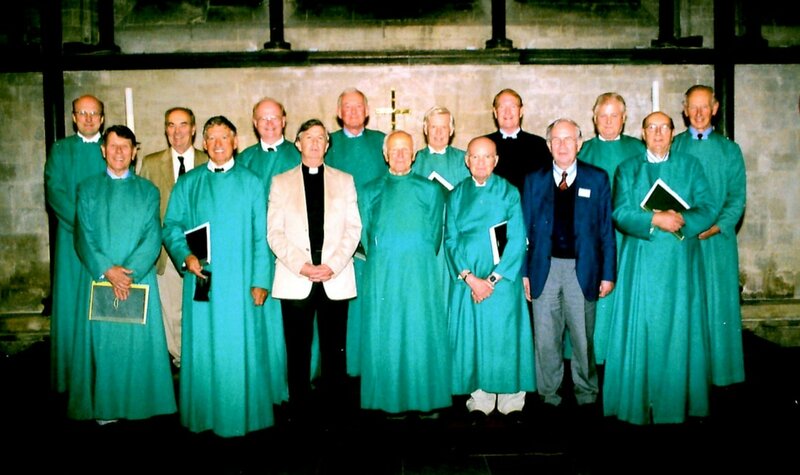 In 2007, along with several contemporaries, I attended the Old Boys' Festival, 60 years after joining the choir to celebrate. The choir practice and Evensong was taken by Sir David. In the intervening years he had been at Worcester Cathedral, Kings College Cambridge and finally Principal of the Royal College of Music. This year I hope to return to celebrate 70 years. Reunion 2007 - Simon is fourth from the right, in the back row.